The softer version of the Q family has the medium-hard sponge that supports the safe and spinny topspin game from the half-distance. 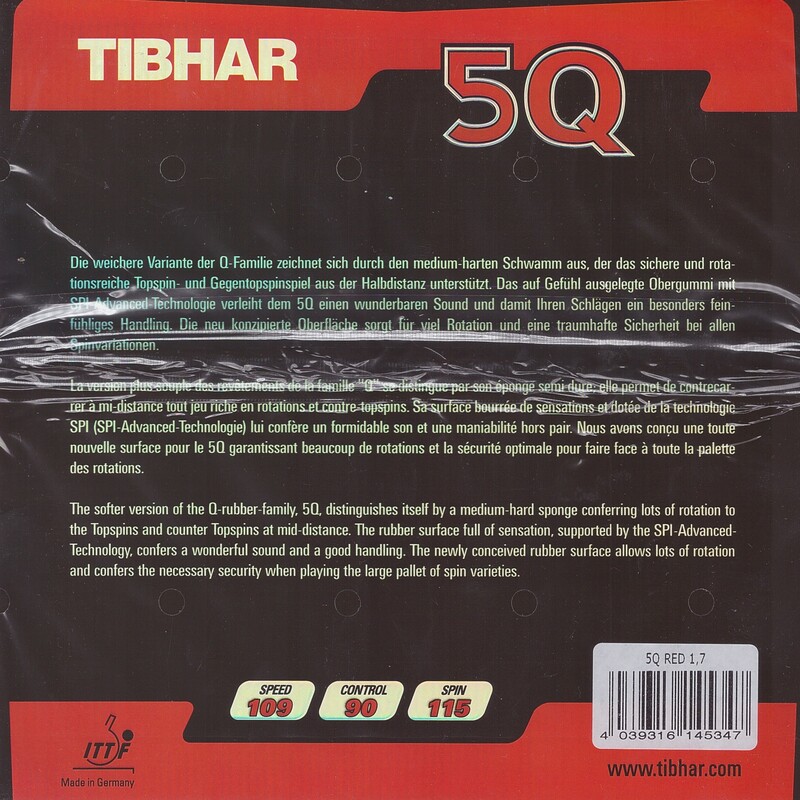 The highest possible level of SPI technology gives the 5Q a wonderful sound, and thus wonderful feeling to your strokes. The newly designed surface provides a lot of rotation and a fantastic safety in all spin variations. 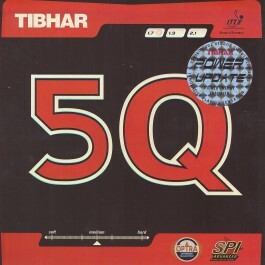 5Q - is Good backhand rubber with very nice spin(9+) and good control(9+), speed is around 9 as well. Durability could be better, but on the backhand should last longer than on FH. I play this rubber on a fast carbon blade and i find this rubber having excellent balance between control/spin and speed . I originally tried it in 2.1 however due to the weight of the rubber alongside my racket i decided to cut it to 1.9 and didn't really lose anything for weight compromise but can't play both side still due to the weight . Cut rubber in 1.9 ( Red ) normal head size butterfly racket - this weighs about 47 g .
Bought product based on reviews... but bit disappointed as spin and feel not as good as Rakza 7. Used it on clipper wood as BH rubber, and it paired pretty well. It is better than the older version of 5Q in terms of control. It is comparatively less sensitive to incoming spin, but still has a good grip for topspins. Blocks are fine. Throw angle is med-high. fast with lots of spin.medium high throw.good control for an offensive rubber.Recommended. I really like this rubber. The grip is really good, the throw is medium/high, and it is a medium/hard rubber. Despite the rating from the manufacturer, I think it has the same hardness than the Genius. A loop machine! The "power update" version is more dynamic than the previous one, but the grip is the same. I got this one at 36€ in promotion, an amazing deal!! fast & spinny enough, but not as much as andro rasant / very good control (bh) /durable rubber / medium throw angle /after all, a very controlled attacking rubber, suitable for bh! soft rubber, but more speed and good control. I found this product to be quite good for my forehand. However, the trajectory of the ball is too high for my playing style. On the backhand this rubber is amazing! Great for blocks, chop and smashes. Good for attacking incoming spinny serves. Very fast and provides lots of spin. I think the pricing is a bit much though. 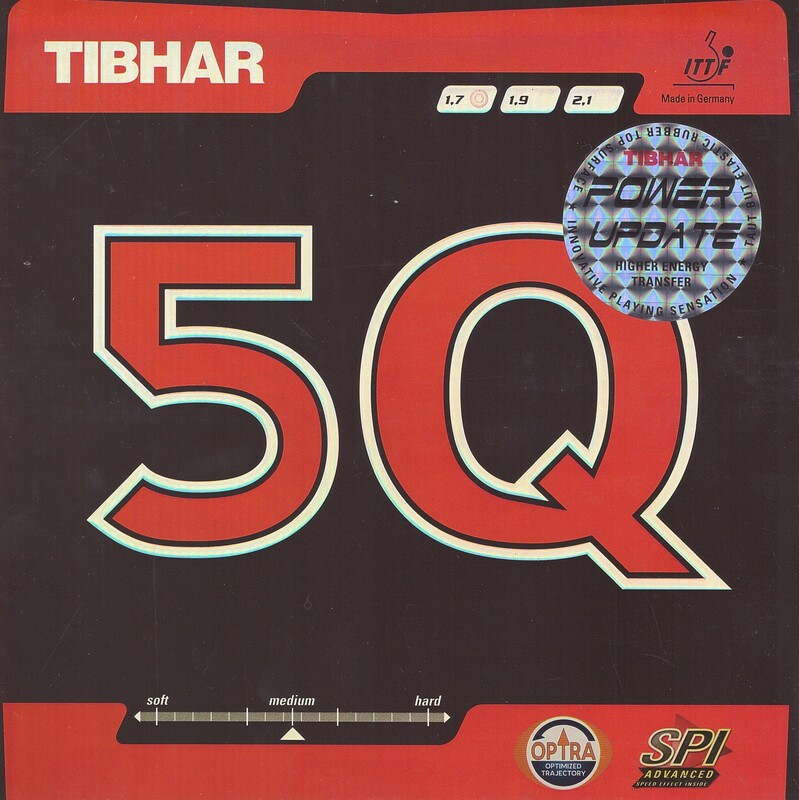 Overall, great product from Tibhar. Very spiny and fast rubber, medium high throw, good for looping underspin. Need times to let the rubber break in before seeing it's full potential. Good back hand rubber for me. Good rubber for all players.